Ottawa Senators general manager Pierre Dorion said Tuesday during an appearance on TSN Radio 1200 that he doesn’t expect Clarke MacArthur to play for the team this season. MacArthur failed his medical upon reporting to training camp with the Senators in September and has since moved out of Canada. Dorion said the team would consider giving MacArthur another chance next season - the second last on year on his contract - but did not sound optimistic. "Oh, I doubt that one," Dorion said when asked if MacArthur could join the team. "He's moved to Florida, if I'm not mistaken. And after failing that medical... You know what, if he wants to come back next year and try, we'd definitely look at it. "Clarke was a big part of our playoff success, but I think health [and] family comes before hockey any day... I couldn't be responsible for allowing him to play after doctors said that he failed his medical." MacArthur, 32, made a surprising return to the NHL last season in April despite having been ruled out for the year after a training camp concussion. The left-winger appeared in four regular-season games upon returning in 2016-17 and dressed in 19 postseason games. MacArthur scored three goals and posted nine points in the postseason and lifted the Senators into the second round with his overtime goal in Game 6 against the Boston Bruins. 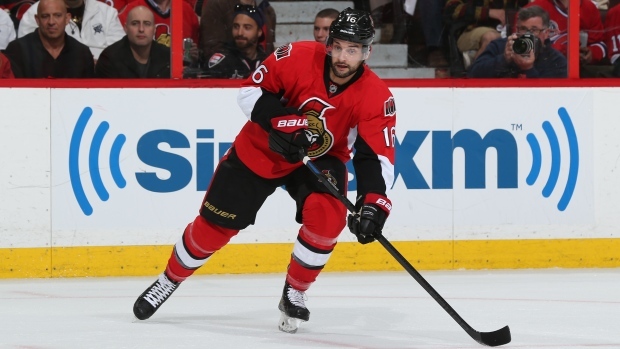 MacArthur, a native of Lloydminster, Alta., has sustained four known concussions since joining the Senators in 2013. He had not dressed in a game since Oct. 14, 2015 when he returned in April. A veteran of 552 career games, MacArthur is signed through 2019-20 at a cap hit of $4.65 million. He has been placed on long-term injured reserve by the Senators.